I’ve been thinking more about the comparison of my spinning practice to martial arts practice (last night’s reference to white belt work). It seems like a pretty apt comparison. Years ago, when I studied martial arts, we practiced simple movements over and over. Over and over and over, for months. Until we became intimately familiar with the nuances of each one, and they became so deeply ingrained that they were second nature. It was the repetition that made that happen, coupled with focused attention. And as we improved, we added more to the repertoire. So yes, very familiar indeed. Tonight’s practice was not as smooth as the last couple of nights, but it went ok. 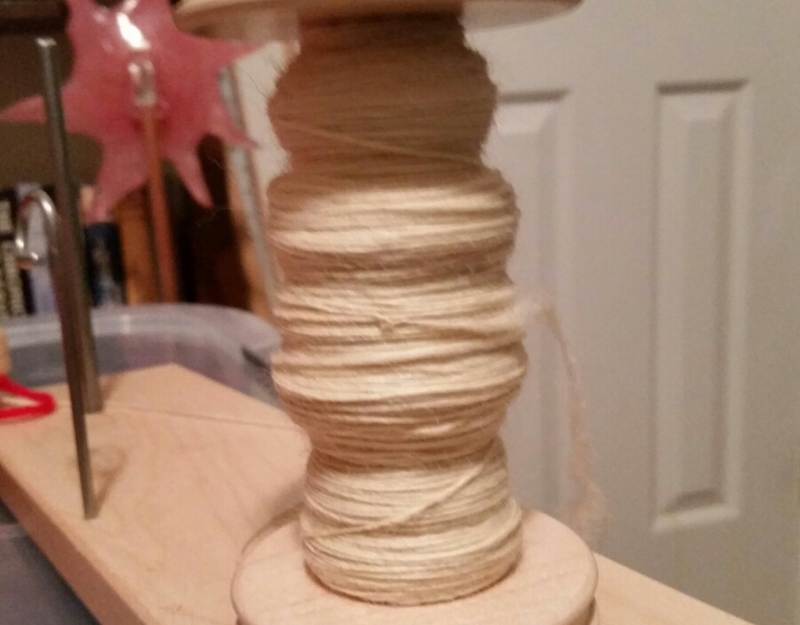 I finished the bobbin I’ve been working on, tomorrow night I’ll start the next one.